If you were hoping to see a Surface Book-style hybrid offering from Apple in the future, apparently that's definitely not going to happen according to the latest from CEO Tim Cook. 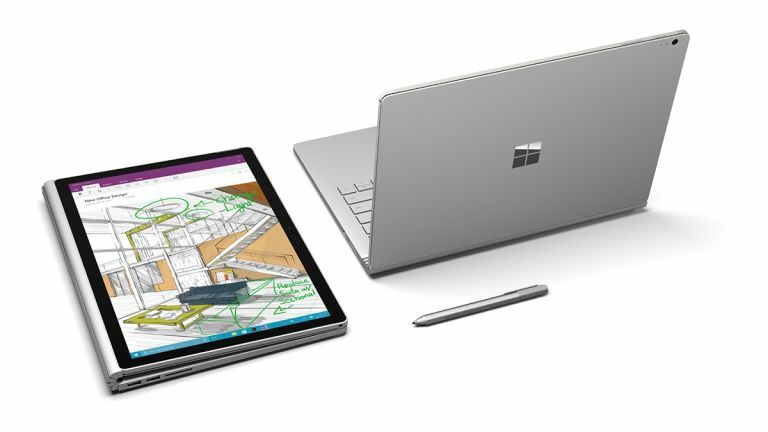 That's not too surprising given that Cook rubbished Microsoft's convertible (pictured above), calling it “diluted” in a recent interview, and basically stating that it fell between two stools, failing to be either a laptop or a tablet. And now in another interview with the Irish Independent, Cook clarified that Apple won't ever make a device which is a hybrid Mac and iPad. In other words, this is the same argument previously levelled at the Surface Book, and Cook believes there are too many compromises in a 2-in-1, so he'd rather build the best tablet possible, and the best laptop possible, rather than water anything down. Speaking of water, at first glance, this would appear to pour cold gallons of the stuff on a recent patent that came to light which showed a possible future MacBook with a detachable screen. However, in the case of this concept, the display isn't actually a tablet, but rather a 'dumb' screen with no hardware inside – it simply wirelessly connects to the base unit, so would still need to remain in range of the base to be usable. So by the sound of things, this would be a laptop with extra utility rather than an actual convertible as such, so theoretically something like this could still happen and Cook's comment doesn't totally rule this possibility out. That said, it doesn't make such a device seem any more likely to appear, and of course Apple files plenty of patents for hardware which never sees the light of day.